Ancient oyster shells found during archaeological excavations of Gallo-Roman sites in Paris indicate that residents of the French capital have loved these bivalves for centuries. 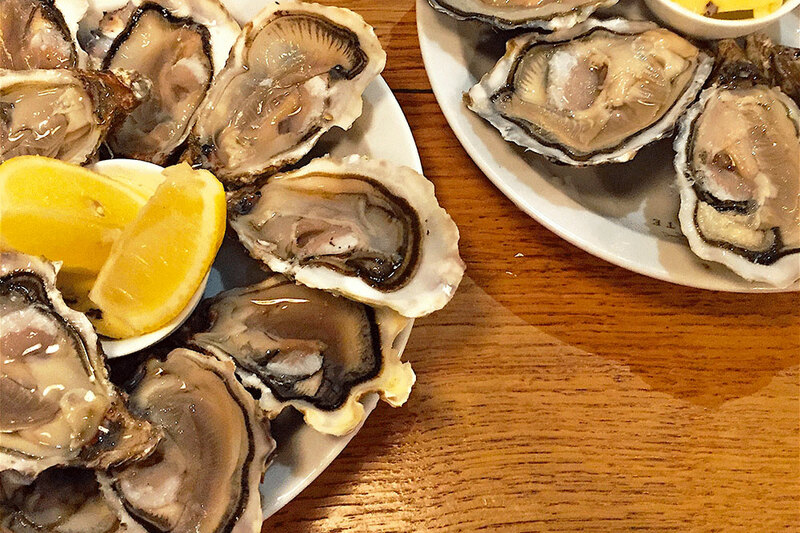 Their popularity got a major boost during the 19th century when expansion of the French rail system made it easier to supply the city with oysters from Normandy, Brittany and the French Atlantic coast. 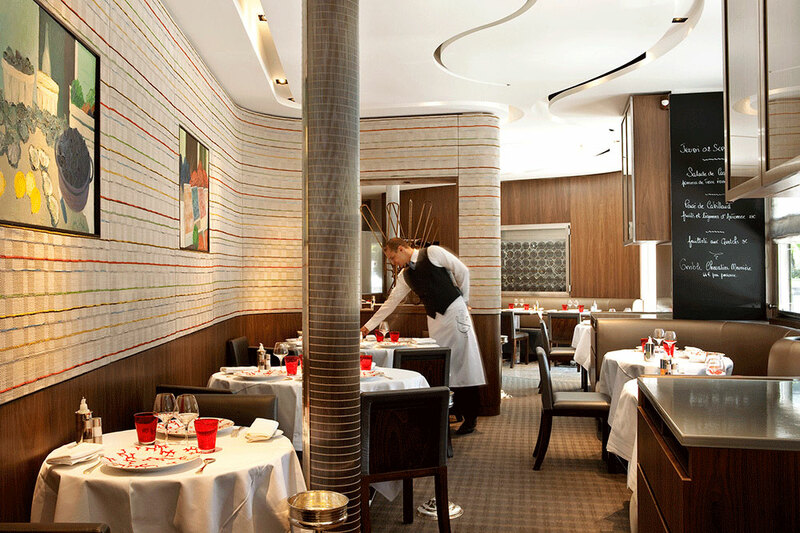 Today France is one of the world’s largest consumers and producers of the shellfish, which are scarfed down with gusto in the city’s many oyster bars and brasseries, especially during the height of the season from September to April. Most Paris oyster vendors offer two types of oysters, creuses and plates. Creuses are cupped oysters that will fit into the cup of your hand; most of them are of the Japanese variety, the spawn of which were imported into France after a disease nearly eliminated the Portuguese variety in the 1970s. Plates, or “flat” oysters, are native to Bélon and much rarer. Oysters in France are calibrated from 000 to 6, with the smaller number confusingly indicating the larger oysters. 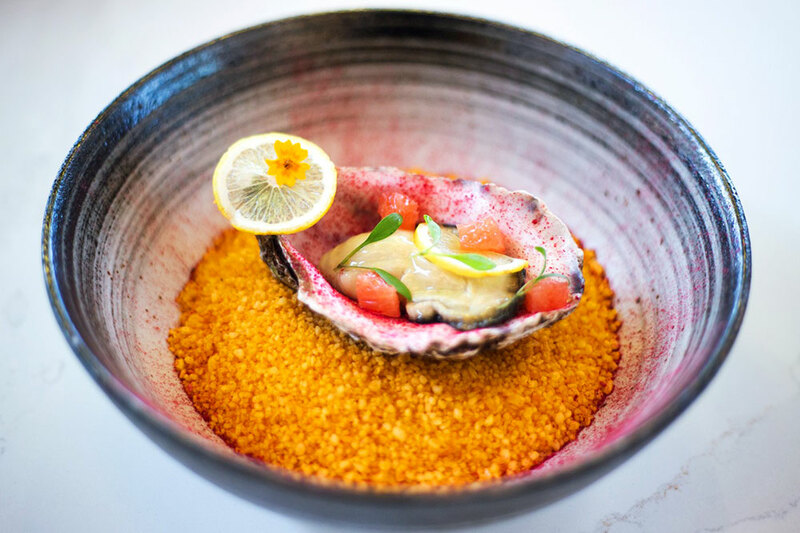 They are typically served with shallot vinaigrette and lemon wedges, although most French oyster connoisseurs insist they’re at their best just as nature makes them. Prices reflect approximate cost of dinner per person, excluding wine.